U EVEN CLEAN BRO? was founded on the principle that your home is your castle, and your castle should be a clean and healthy space that everyone can enjoy. Our mission is to provide that clean castle. 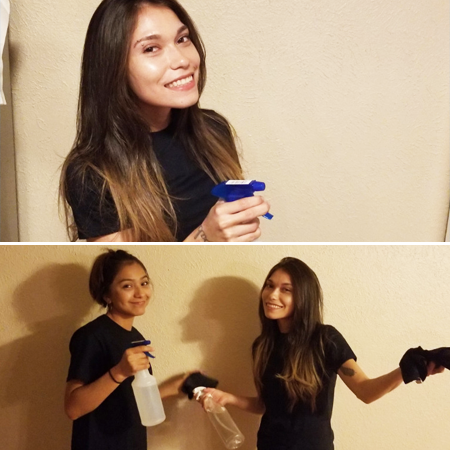 You and your family can kick back and relax in a beautifully spotless home after receiving the highest level of service from our professionally trained maids. Seriously bro – you don't have to clean. We'll do it for you. We're a family-owned-and-operated local business, and we make a firm commitment to our customers. Your happiness is our top priority. We do whatever's necessary to make sure that when we leave your house, you're completely satisfied with the services you received. Our company is fully insured and has English-speaking staff. Our rates are hourly. We don't charge by the square footage of your premises, so you get excellent value for the money you spend. Enjoy super clean results and a satisfaction guarantee. Call us for an estimate on the amount of time it will take to complete your cleaning. Many estimates can be provided over the phone. We also provide custom quotes as needed. Use our "Request Cleaning" link on the home page to send us specific details. We'll let you know when we arrive if extra time will be needed to complete the cleaning you requested. You always know the expected charge before any work is started. Our quotes are not based on square footage. We charge by the hour at a flat rate of $30 per cleaner. To give you an idea of how this works out, we typically clean 500 square feet in an hour with one cleaner, and that costs $30. This pricing system allows for flexibility, customization, and great value. Our rate of $30 an hour for maid service is less than any of our competitors. Please note that there is a $40 charge for canceled appointments.